Annick Goutal - Annick Goutal Eau Hadrien Perfume from Slapiton. Annick Goutal Eau D'Hadrien Perfume was named for the Roman emperor, Hadrien and is a celebration of the Emperor who humanised Roman Law, forbade torture and forwarded Humanism. 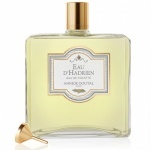 Annick Goutal Eau D'Hadrien Perfume is an exhilarating evocation of summer's promise and the new light that it brings. Annick Goutal Eau D'Hadrien Perfume was the first Goutal creation to capture the attention of celebrities and notorieties and has remained one the key fragrances in the range. Annick Goutal Eau D'Hadrien Perfume was created in 1981 and is an elegant and sparkling composition of warm citrus tones. Annick Goutal Eau D'Hadrien Perfume contains the acidic aromas of Sicilian lemon and grapefruit ripened under the Mediterranean sun, blended in perfect harmony with the subtle notes of citron and cypress. 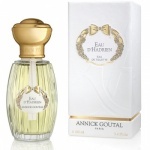 Annick Goutal Eau D'Hadrien Perfume is a universal, energetic and fresh perfume that uplifts the senses and soul. Annick Goutal Eau D'Hadrien Perfume contains the acidic aromas of Sicilian lemon and grapefruit ripened under the Mediterranean sun. Eau d'Hadrien is a refreshing citrus scent containing the acidic aromas of Sicilian lemon and grapefruit ripened under the Mediterranean sun. This creation draws its inspiration from Eau d'Hadrien, a universal and timeless perfume reflecting Annick Goutal's passionate love for Italy. Annick Goutal Eau D'Hadrien For Men contains the acidic aromas of Sicilian lemon and grapefruit ripened under the Mediterranean sun, blended in perfect harmony with the subtle notes of citron and cypress. Annick Goutal Eau D'Hadiren Shower Gel is a delicately perfumed and lightly foaming shower gel. Annick Goutal Eau D'Hadrien Candle is a luxurious candle with a universal, energetic and fresh perfume that uplifts the senses and soul with a dynamic and timeless quality.